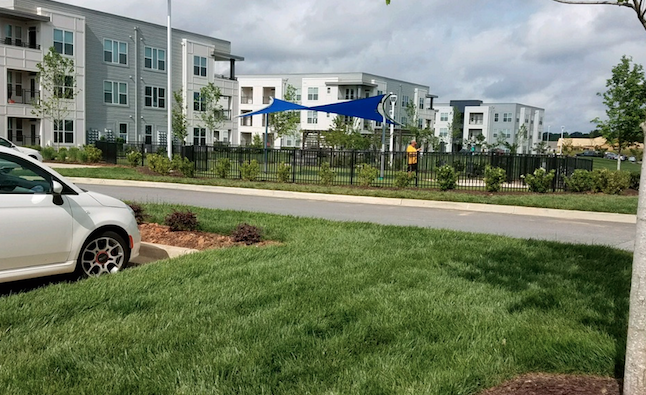 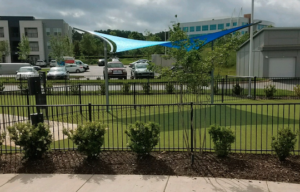 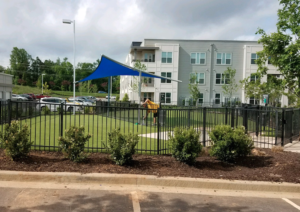 Innovation Park Apartments in Greenville SC was looking for a unique shade structure to help protect their residents and their pets from the hot sun. Carolina Shade Sails was happy to design and install a Twist T structure for their dog park. 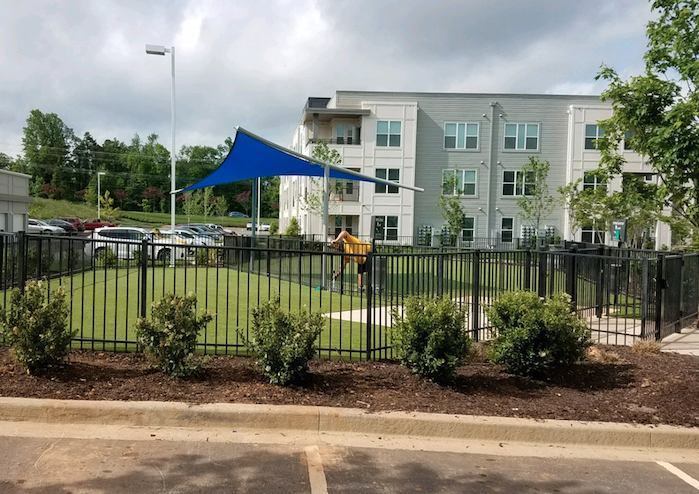 This structure is 22′ long and 16′ wide with a height of 8′. 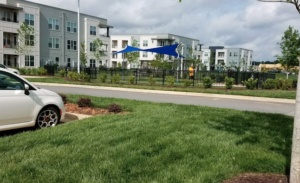 Silver columns and Royal Blue sail.